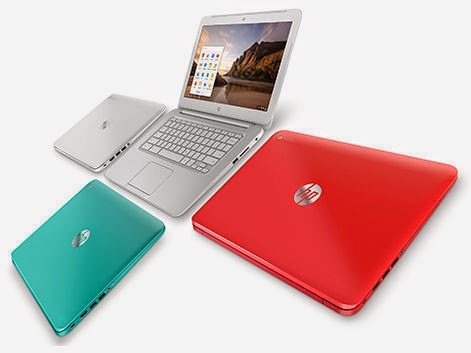 I just wanted to say quickly that I have a new HP Chromebook 14 in hand and will be bringing it to this blog. Is there anything you guys would like to know? 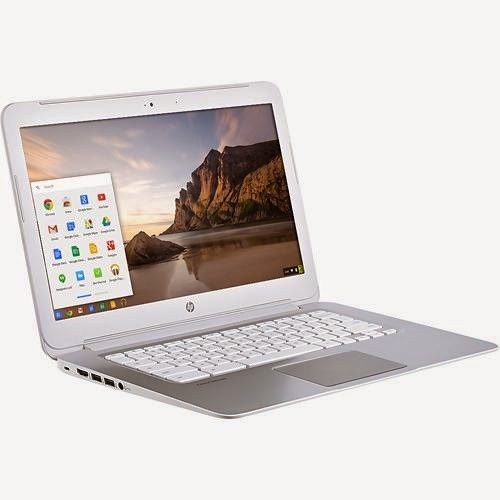 This unit has the 14-inch display with 2GB of RAM and the 1.4GHz Intel processor. The display itself runs at 1366 x 768 resolution, but it also has a mock 1536 x 864 mode to better utilize the screen size. The battery is giving me about 6-7 hours of use for my blog writing / research needs. The dual speakers on either side on the bottom are a little easy to muffle in the lap, but provide decent enough sound, for a laptop. I have not yet tested connected headphones, will let you know later. I was worried about the limited 2GB of RAM, but no complaints so far. Not to mention I can upgrade to 4GB down the road, at the expense of warranty, sadly. The unit does have the larger Intel processor, so it needs to have air vents and fans. This too I was worried about before hand, as HP has a habit of creating units with extremely loud fans, but this guy is very quiet. If you've got a touch of music going on, you'll never even notice if the fans kick in. Not to mention that the device runs cool to the touch under normal usage. Aside from some of the difficulties of the Chrome OS itself and the mere 16GB SSD, I have only one complaint about the unit, the display. Don't get me wrong, this is a beautiful display, it is bright, crisp, clear and clean. What bothers me is the clarity when viewing from an angle. It is normal for a display to fade out, grow dark patches or other at various display angles. For me, this display is perfect when viewed head on and at slight sideways angles, however, tilting the display up black takes over, fonts start to bleed. Tilting it down fonts lose weight and begin to fall apart. I express the display characteristics as an extreme, in the end, I am very pleased with it. More to come, please put your thoughts in the comments below.